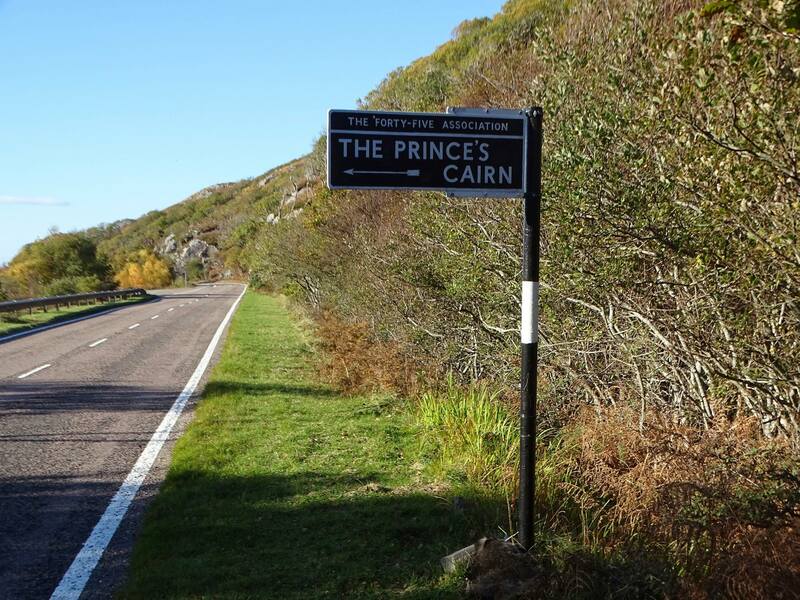 We can’t have signage for The Tinkers’ Heart because the road is – at present – considered ‘too dangerous’ and HOTT are talking to Argyll & Bute Council about a way forward on this matter. Now there’s a revelation. 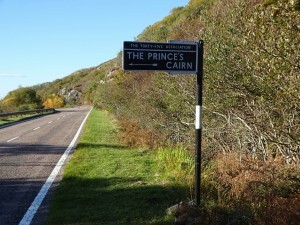 Due to ‘health and safety issues’ the Tinker’s heart cannot have signage because the Strachur road is deemed too dangerous to erect signs at the Heart because there is no parking facilities on this road.Well then, why does this sign erected to Prince Charlie’s Cairn stand on this very dangerous stretch of roadway; the arterial Road to the Isles?I can see it was probably erected and paid for by the ‘Forty-Five Association but it too does not fit ‘health and safety issues.’ There are no car parking facilities, indeed if you do stop on the continual white lines, hazard lights must be on. Do Argyll & Bute Council know that in Lochaber this sign exists? I’m guessing they do. Let it remain, I say, it’s very special because it points to the place where Charlie left for France – but can we have signage for the Tinker’s Heart too?